Follicular Unit Extraction or FUE is a hair transplant technique where genetically resistant follicular unit grafts are extracted from donor area by a specialized technique and instruments and then these special hair are transplanted to the bald or receipt area using specialized extraordinary slit blades of less than even a millimeter. This technique requires great expertise. Our experienced hair transplant doctors and assistants team use the precision to implant the hair to imitate the angle and direction of each person’s hair which is unique to everyone. The extraction by this technique is simple, painless and the donor area usually heals within few days. There is no risk of any nerve damage as no scalpels or stitches are used. The transplanted hair grow naturally, permanently in its new location. Hair regrowth is usually seen after 2 months to 6 months. Up to 3000-5000 hair can be extracted or implanted per day. The whole procedure is done in complete comfort under local anaesthesia and mild sedation. Usually you you are awake and watching a movie during this procedure. You are given breaks and lunch is also served in between. Minimal pain is involved during and after the process. Most clients do not even need ordinary over the counter pain killers. The procedure can be scheduled over several back to back days. Because of micro surgical technique used by our experienced staff, only the tiniest incisions are made for extraction and transplant. This unique approach speeds the healing process and patients can usually return to most normal activities the very next day. (1) Avoid NSAID’S like Aspirin etc about one week prior to your procedure as they increase bleeding. (2) Avoid taking vitamins B or E (including multi-vitamins) during the week before your procedure as these may increase bleeding. (3) Avoid alcohol for least three days prior to your hair transplant as alcohol causes vasodilatation and increases chances of bleeding. (4) Do update us of any medications you are currently taking on regular basis so that we advise you accordingly. (5) If you are taking any Antihypertensive drugs or blood pressure medicines then you should continue to take it even on the day of procedure. (1) Shower and wash your hair using regular shampoo. Do not apply sprays, gels or any other styling products to your hair. If you wear a hair system remove it before shampooing and do not wear again after your procedure. (2) Wear loose, comfortable clothing and a front button top and not one you pull over your head so as to avoid dislodging your transplanted hair after your transplant procedure. (3) Avoid all caffeinated beverages such coffee throughout the day as these may increase your sensitivity to medication used during the procedure. (4) Eat breakfast as normal. We will provide you with lunch and snacks. Please let us know if you have any dietary needs. (1) On your arrival your hair transplantation team will review your procedure consent form with you, ensure all relevant paperwork is completed and answer any questions you may have. (2) During your initial consultation, proper hairline will be marked and photographed and discuss any concerns you may have. (3) You can choose to listen to music or to watch movies or to just chat with staff during the procedure. (4) A local anaesthetic is now applied around the perimeter of the scalp and once scalp is entirely numb, the rest of your procedure is completely painless. Should your procedure be an extensive one, lasting more than 5-6 hours, an additional local anaesthetic will be applied before the first one wears off. 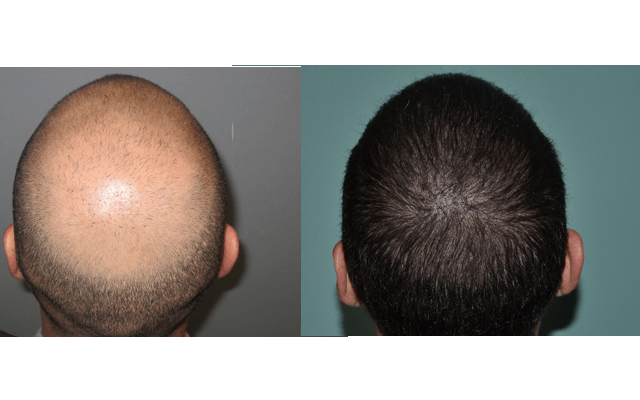 3rd GENERATION FUE HAIR TRASPLANT PROCEDURE 100% RESULTS GUARANTEED. At any given time 90% of your hair are in growth phase and 10% in rest phase. At your 10 months review if less than 90% of the new hair are growing than those will be replaced free of charge with new follicular units using this technique. Hope this information has answered a lot of your questions about hair loss and the hair transplant procedure and makes you feel more confident about running your business. What are your thoughts?